Anyone who is interested in presenting and public speaking can take a lesson from ‘Christmas presence’. 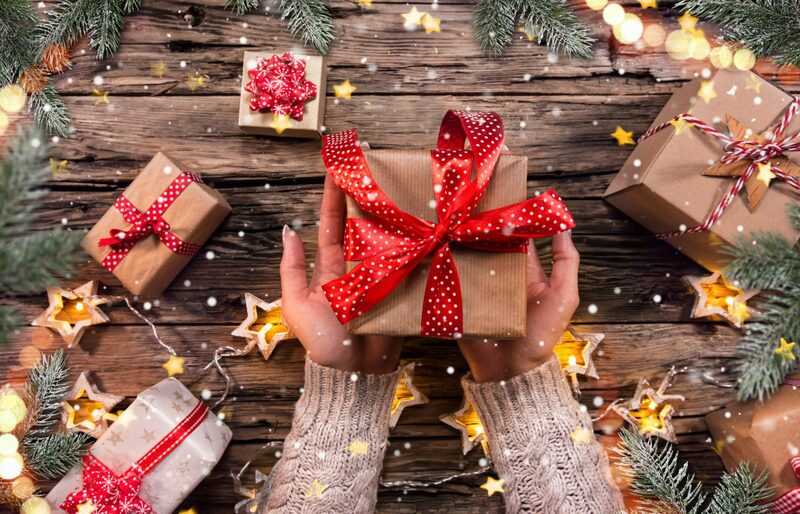 At this time of year once the parties and shopping frenzy is over, the gifts are wrapped and the the chaos abates, we get to slow down and calm down. Liberated from the maelstrom of over indulgence, spending and preparing, we begin to regain control. The run up to an important presentation often feels like the build up to Christmas; it can be quite stressful. Daniel Siegel, professor of psychiatry has a gift for us all at this challenging time of year that we can also apply each time we prepare to present. Rather than waiting for the pandemonium to subside I have been using it myself during the run up to Christmas with good effect. In the process of enjoying the benefits it struck me that its potential extends itself to a far greater level of consciousness for presenters too. Dan Siegel presents ‘The Wheel of Awareness’ as a visual metaphor for the way the mind works. It’s a powerful form of meditation designed to strengthen the mind by helping us to focus our attention and become more aware of our thoughts, feeling and interconnections. I’m mindful of the fact that meditation isn’t a practice that appeals to everyone although I’d highly recommend you open your mind to exploring this one. – The hub is our centre of awareness which represents our ability to pay attention to or focus on anything we choose to. – The four quadrants represent the ‘knowns’; things that we know about but don’t often stop to think about. – The spoke represents our ability to focus on any one point on the rim. As the festivities fade, for many of us our awareness heightens. We reflect on the highs and lows of the year gone by; how we feel, what we’ve achieved, where we are and where we are heading. Once we switch off our ‘autopilot’ and tune into our ‘hub’ it’s a potent time of year. I call it a state of ‘Christmas presence’; it’s that sense of connection where many of us take a moment to connect with ourselves, those around us and what really matters. It’s that juncture in time where our spoke of awareness can feel strong and compelling. Dan Siegel’s ‘Wheel of Awareness’ provides us with a powerful tool for conscious and intentional change; not just for Christmas but presenting too. Imagine starting the New Year with a whole new level of awareness of the impact you have both on yourself and your audience each time you are called on to present. Whether you are nervous about the idea of standing to speak or are an accomplished presenter, a few moments of deep focus can bring great clarity. – Take a few slow, deep breaths; inhaling through your nose and exhaling through your mouth. – Spend a minute or two simply noticing your breath, don’t try to change or judge anything; just notice each breath in and each breath out. Turn your attention to each of your five senses individually. – Notice any sounds you hear both inside and outside of the room you are sitting in. – Notice what you see. If your eyes are closed notice what that looks like in your mind too. – Notice what you feel. Your body on the chair, your feet in your shoes, your breath, the temperature of the air, etc. – Notice what you taste. Your saliva, the remnants of something you ate earlier. As you pay close attention to your 5 senses don’t try to analyse, evaluate or critique anything. Just notice. Having taken a few minutes to breathe, relax and notice, now it’s time to feel. – Slowly scan your body with your mind from the top of your head to the tips of your toes, holding your attention on each part of your body for a few seconds. – Open yourself up to anything you sense in any part of your body. Simply notice and sensations, don’t try to change, analyse or judge anything. Just notice. – Slowly scan your body with your mind once again this time paying attention to your inner body. – Notice any sensations in your inner body; your muscles, bones, organs; any sensations throughout your inner body. – As you pay close attention to your inner sensations don’t try to analyse, evaluate or critique anything, just notice. Once you have become more aware of what’s going on with your body it’s easier to check in with your mind. – Become aware of your mind wandering into things you have to do in the future. – As you become more aware of your inner thoughts, feelings, memories and projections don’t try to analyse, evaluate or critique anything, just notice. – Spend a few moments becoming aware of the people you will soon be presenting to. – See them in your mind as real people rather than as professionals or your audience. – Focus on them being someone’s son, daughter, brother, sister, mother of father. – Take a few more deep breaths and send thoughts of loving kindness. Send them to yourself and send them to your audience. 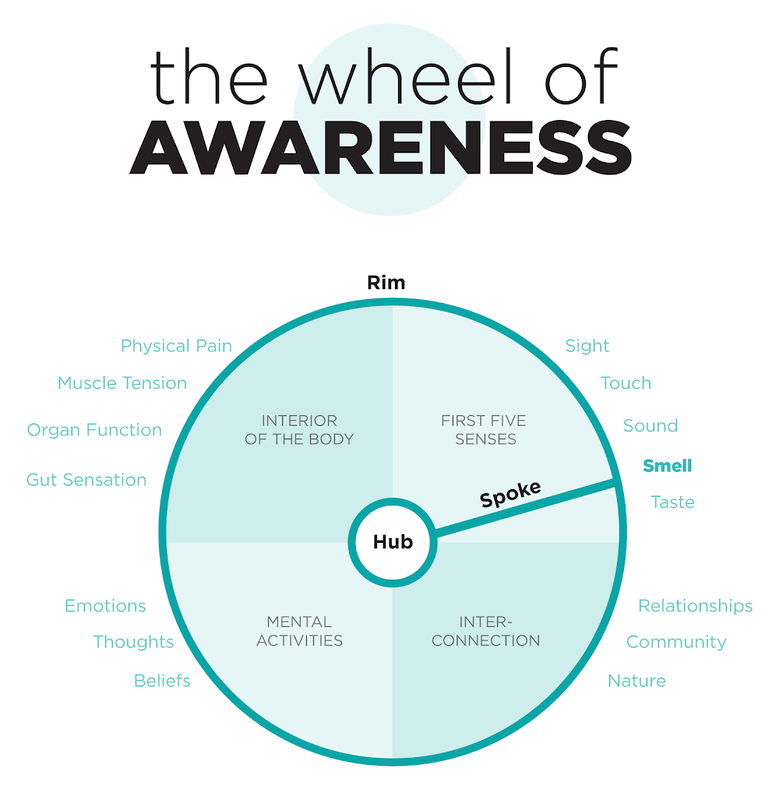 ‘The Wheel of Awareness’ is an extremely powerful reflective practice which can be invaluable in helping us to slow down, calm down and connect with ourselves and our audience far more effectively. At Mindful Presenter we hold the belief that ‘Connecting is Everything’; that connection starts with our very own mind. Wishing you all a truly wonderful Christmas and a very happy, healthy and mindful New Year!